The Pure Evoke D2 is no longer available. Suitable replacements might be the Pure Evoke H2, or the Evoke H3 which has a colour display and Bluetooth. 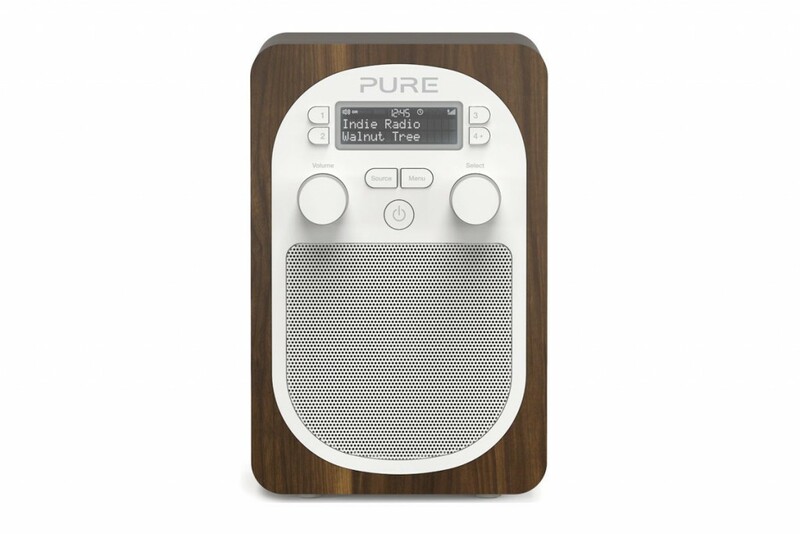 The Pure brand has been synonymous with digital radio in the UK since the first digital stations launched in the early 2000s. For many listeners finding BBC 6Music or Planet Rock for the first time it was with a Pure Evoke-1, the radio which broke away from tradition with a wood veneer case and silver carry handle. The Evoke range continues today and although the real wood veneer casing remains the insides are up-to-date with DAB+ and their latest digital amplifier. Of the several Evoke models the D2 is the smallest and comes in several wood and plain finishes. Sound is also helped by the wood casing, something found on other more expensive models, and a tuned speaker. The design and audio quality of the Pure Evoke D2 have been widely praised in magazines and consumer reviews. For larger rooms or more dedicated music listening the bigger Evoke D6 offers stereo speakers. The controls and speaker grill are placed within a plastic white inset. A large power button is found at the centre of the controls with a source selection button above. Four preset buttons are found around the clear display which also includes a digital clock. Volume is controlled with a rotary knob on the front of the radio with station selection made on the opposite side. The knobs include a simple rubber strip for improved grip and a tactile feel. The small radio is at home in bedrooms and kitchens offering a sleep timer and kitchen timer. An audio input socket means other devices can be plugged in to use the full-range speaker. Power comes from an included mains AC adapter or an optional ChargePAK B1 rechargeable battery pack. Power consumption is kept low with the radio using just 0.7W in standby mode. The ChargePAK B1 is on sale separately for £27.99 and should last for 24 hours. Verdict: The D2 can carry the Evoke label with pride thanks to its simple yet attractive design.